Guitar riffs are those killer musical motifs that most people recognize as soon as they hear them. A guitar riff is that beautiful musical figure that makes some us want to play the guitar. Most guitar players can remember the first riff we learned and what we had to go through to learn them. Remember sitting in your room with your guitar, trying again and again to capture your favorite riff and make it sound just like you heard it on the radio? It’s no surprise that these easy guitar riffs for beginners are some of the most classic and recognizable riffs in rock. These are riffs that sound cool and can be played by most guitar players with little practice. 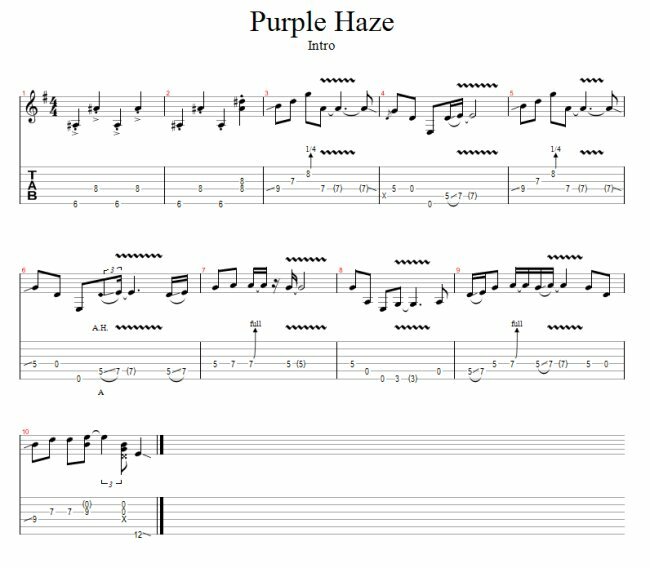 Check out the “Purple Haze” entry here. This is interesting because the song actually has a very easy riff that opens the song (alternating between single notes), then goes into the opening licks that are just as easy to play. Crank up the guitar, stop on the fuzz box, and let her rip. The next example I want to illustrate is the Nirvana song “Come as You Are.” It doesn’t sound much cooler than this, and it certainly doesn’t get easier. If you want to impress your friends and be the hot at the next party, these are just a few easy guitar riffs for beginners. There are a lot of web sites that offer free guitar riff tabs you can learn pretty quickly. Pick a few of your favorites and do a little research Chances are good you’ll find most of them transcribed and ready for you to learn. Remember, easy doesn’t mean uninteresting. All of the riffs I’ve included here are simple and cool, which makes them not only easy guitar riffs for beginners, but essential learning for every beginning guitarist.